‘Kheench Meri Photo’ the newest track from Radhika Rao-Vinay Sapru’s Sanam Teri Kasam has become an instant hit not just with music-lovers, but the industry and trade too are abuzz with the catchy number. 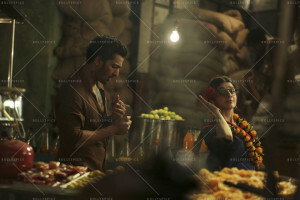 Composed by Himesh Reshammiya and sung by Darshan Raval, the peppy fun number has been picturised on the film’s new pair – Mawra Hocane and Harshvardhan Rane – that’s already creating waves in the industry for their sizzling hot chemistry. The musical has already been garnering a positive feedback for its title track and now with this number climbing up the music charts rapidly, the album of the musical love story is being looked forward to by the industry and the music lovers across.